Prasad, who was the sole candidate in the fray, was declared elected by the party's national election officer Jagadanand Singh after lapse of the time limit set for withdrawal of nomination papers. 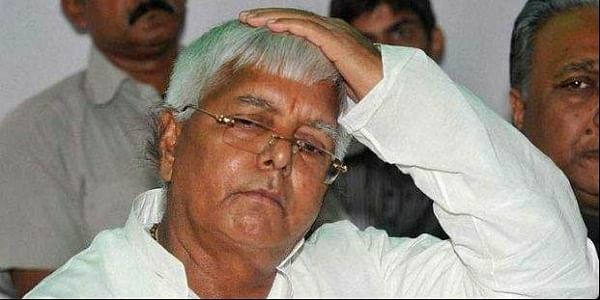 PATNA: Rashtriya Janata Dal supremo Lalu Prasad was today declared elected unopposed to the post of the party's national president for 10th consecutive term. Prasad, who was the sole candidate in the fray, was declared elected by the party's national election officer Jagadanand Singh after lapse of the time limit set for withdrawal of nomination papers, a RJD statement from Assistant Election Officer Chitranjan Gagan said here. However, a formal announcement to this effect will be made by Singh on November 20, the day when the party's newly constituted national executive is scheduled to meet, the statement said. Prasad will also be given a certificate of his election to the top party post on that date, it added. Prasad, who had floated RJD way back in 1997 after splitting the Janata Dal, has been re-elected as the national president of his party for the 10th consecutive term. Prasad had filed his nomination for the RJD President before the RJD's chief returning officer, Jagdanand Singh, at the party's state headquarters here yesterday. Opposition parties like the JD(U) and the BJP have, however, taken potshots at the RJD supremo for being re-elected to the post without any other candidate throwing in a challenge. Prasad's arch rival and Bihar Chief Minister Nitish Kumar today termed the RJD as a "private political party" and a "family political asset".